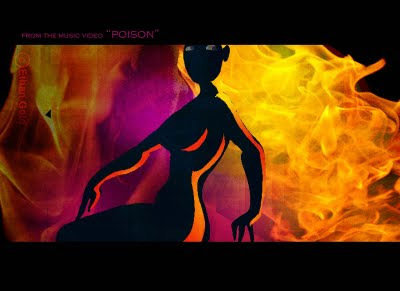 Ethan Gold - Poison from Ethan Gold on Vimeo. 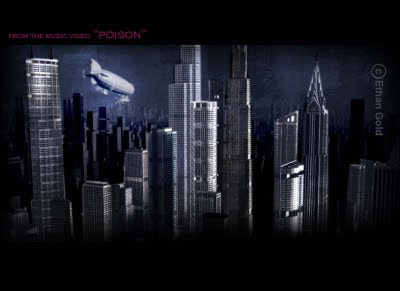 Above and below: Early concept sketches for "Poison" . 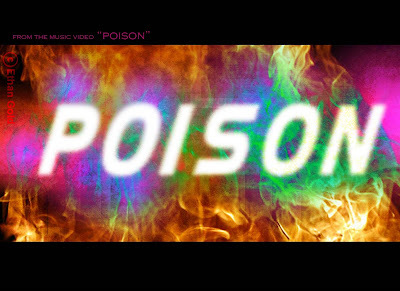 A while back musician/ producer Ethan Gold approached me about making a music video for his upcoming album "Songs from a Toxic Apartment". 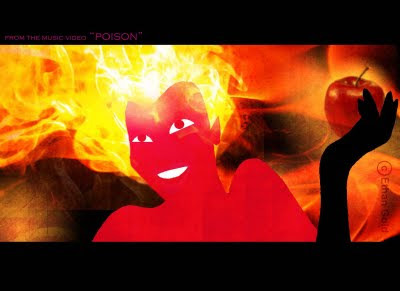 Some of the themes of the song "Poison" dealt with loss of innocence, and temptation. My first sketches took a bit of a biblical tone... going back to the garden of Eden. Though this time, the garden was set in a modern city. Below and above: Ethan liked the first sketches, but felt that perhaps I was being too literal. But he liked the image of a fiery haired woman. 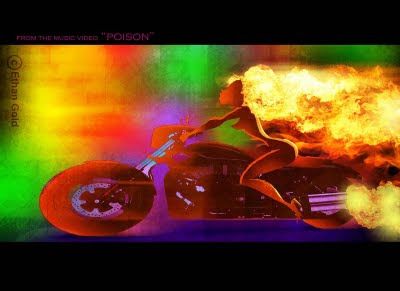 Below: Somehow she evolved into a sort of fiery biker chick. Lee Croudy, Poul, Parn, Tu, Ingo, and a lot of the guys at "The Monk" studio pitched in for fun... sketching, and playing around with ideas. One of the animators, Lom, had an idea of plugging LAN lines directly into the head of the innocent character. I thought it would be nice if the streaming information would slowly taint the character throughout the video. I did some sketches based on this idea using a weird baby character... which Ethan really liked. below: I am a big Hugh Ferriss fan, and have always wanted to do a project that was "Ferriss-like". I made the sketch below cobbling together photos I found on the internet. Ethan liked the feel... so we made the city in 3D... and went into production. Below: More concept color sketches, which I painted over the rough 3D playblasts animated by Ingo Schachner at the MONK studio. Working with Poul Riishede, and Salvador Simo who put the video together in composite. The video is meant to have a sort of primitive, low tech, video game look to it... as if seen through the eyes of a kid that has slowly been sucked into an evil digital realm. Done as a sort of a side project... with a tiny budget, and little time... It was fun to do something a little different, and quirkier than usual. I wish Ethan the best of luck on his upcoming album! Check for updates on Ethan Golds site. "The Monk"- studio has edited together a few of the projects I've been more recently involved with. It is titled as a "Director's Reel"... when in fact, it is more of my "Directors / Designers" reel. Produced at Wang Film in Taiwan, and Thailand.